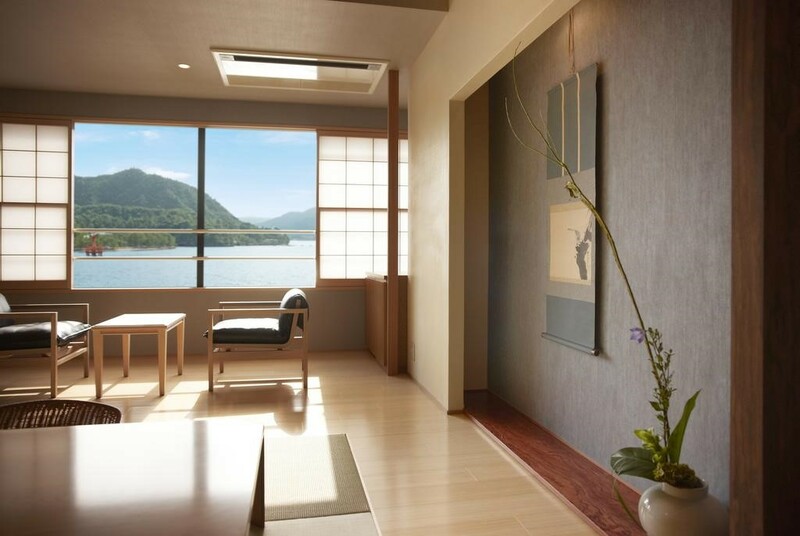 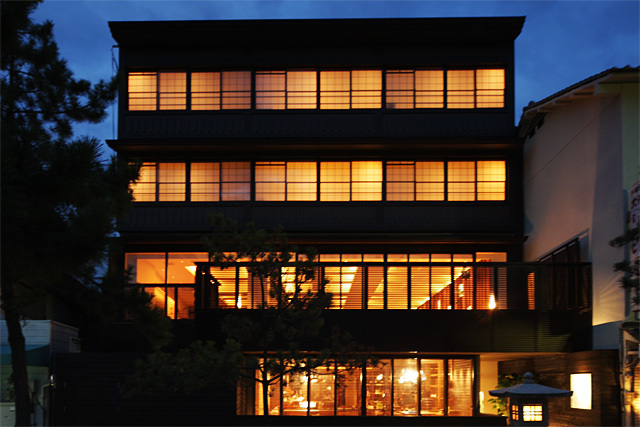 Inspired by the elements of a traditional ryokan, the guestrooms at Kurayado Iroha feature tatami mat flooring, low dining tables, futon beds and shoji screens. 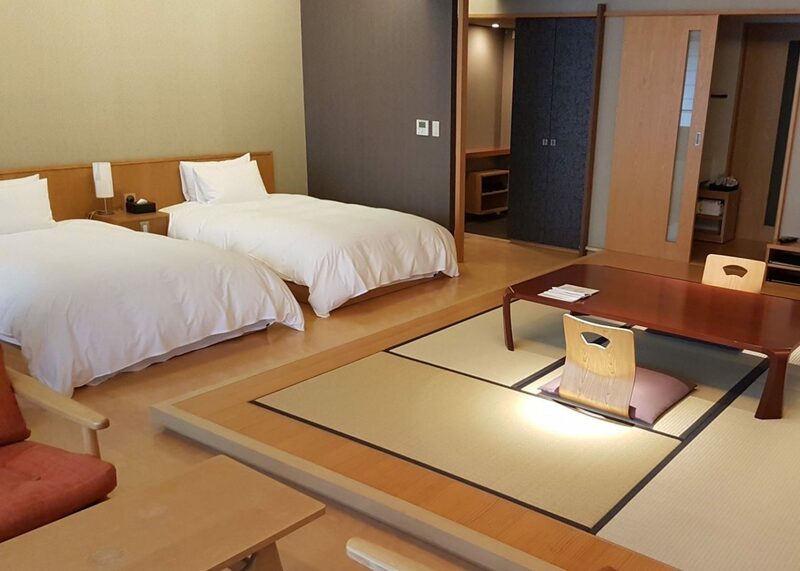 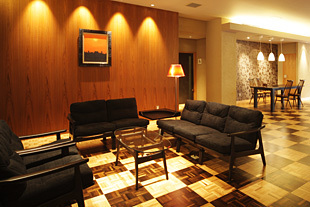 These are paired with deluxe amenities typical of a modern Japanese hotel, including en-suite bathrooms, adjustable lights and high-speed Wi-Fi. 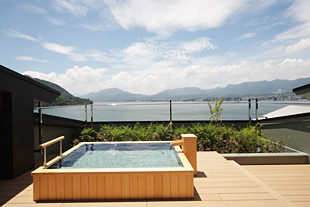 Not forgetting glorious views of the Seto Inland Sea. 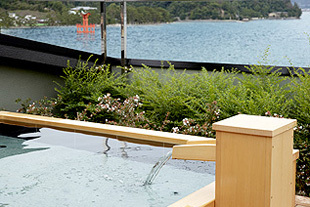 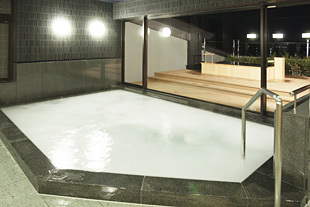 A highlight of the property is its open-air rooftop bath, where you can watch a stunning sunset over the Miyajima Strait as you bathe in reputedly restorative waters.